Joey, I remember a person who was adamant about the youth pulling their pants up. You know him well, maybe for his career, and maybe for…other things: Bill Cosby. Don’t get me wrong, saggy pants is a horrible look that hasn’t gone away in decades. Where did it come from? I heard it that it comes from jail, because you can’t have belts in there. So that might be why this bizarre style has continued on. As for shirtlessness, isn’t that just a universal dude thing? No matter the background, some bro’s gonna be shirtless. Andy, there’s no such word as “worser” There! Equal nitpicking for the cohosts. Until these two, I don’t remember anime where characters are reborn in another land. Speaking of odd fashion, explain to me why white dudes want to wear shorts the moment it goes above 50 degrees. I saw a guy today wearing no jacket and basketball shorts today, and I was wearing all my winter gear, including thermal underwear. Is it a point of pride to wear as little as possible as soon as April comes around? I don’t want to commit heinous acts of violence like Joey does. I just want to know what motivates my caucasian brethren to be nearly naked in cold weather. I’m going to move on from old man racial intolerance and actually be helpful! Andy, do you have Amazon Prime? If so, the first vol. 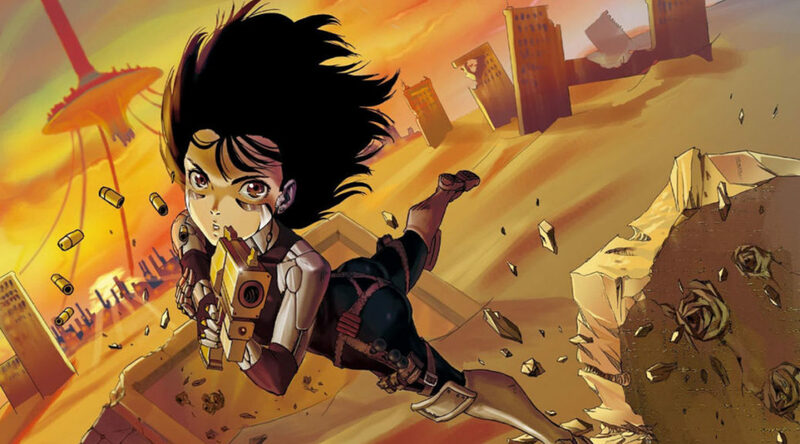 of Battle Angel Alita is free. I haven’t finished it yet, but it’s really good. Some wild visuals. Oh, and I have to tell Joey that the word placates is with a hard c sound, rather than a soft sound. I don’t know, I guess this episode put me in a nitpicky mood.